The Russian Orthodox style of iconography is both an artistic and spiritual practice for artist Sean Kramer. In the Russian Orthodox Church, art is much more than just decoration. Small, elaborate paintings known as icons portray Christianity’s most famous persons, and are used as tools for prayer. Today, a number of artists who are neither Russian nor Russian Orthodox are nonetheless pushing the boundaries of this religious art form. Sean Kramer is one. He stands in front of a whiteboard in a large room lined with half-finished paintings and sculptures. He wears linen pants and a linen shirt in sandy colors. Like his clothing, he’s calm and methodical, but there’s also excitement in his eyes. Kramer learned the art of icon making in a class pretty much like this, and it changed his life. Now, he’s sharing the technique with students like Christopher Gowell and Cate Irvine. Kramer is sympathetic to their struggle. He says there’s a lot to keep in mind while painting icons, but that’s part of the draw. After painting his first icon, he immediately wanted to try it again. Traditionally, icons tell stories of the Bible's holiest people. These paintings are colorful; the images haunting, with contemplative, ethereal faces that beckon viewers to another world. 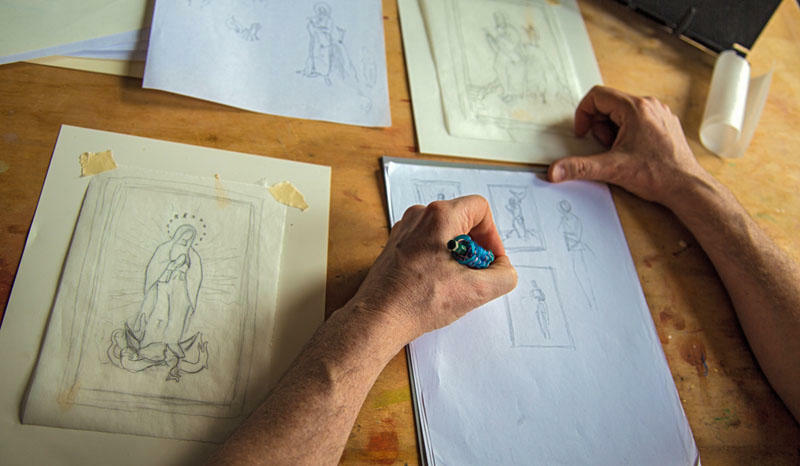 The Russian Orthodox icons typically depict characters from the Bible, but Kramer mixes symbols and figures from religions all over the world. Though his content is different, the technique stays the same; always painted on wood using egg tempera paint made by hand. 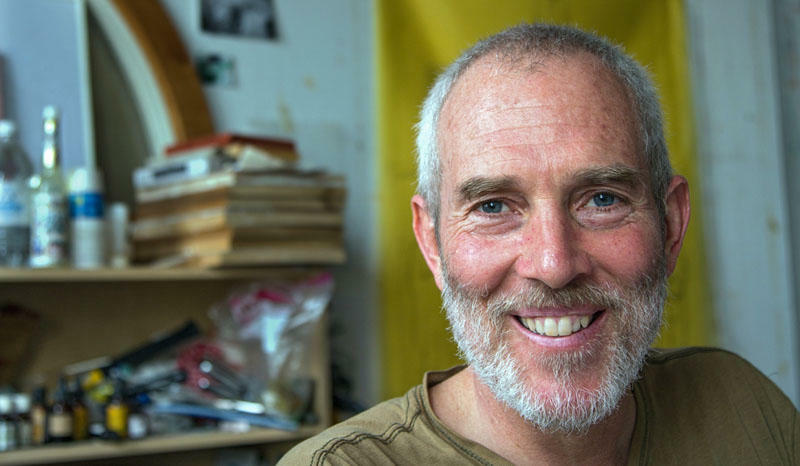 Kramer places several small and dusty plastic baggies, paint brushes, paper and a bowl of water on the table in his studio. 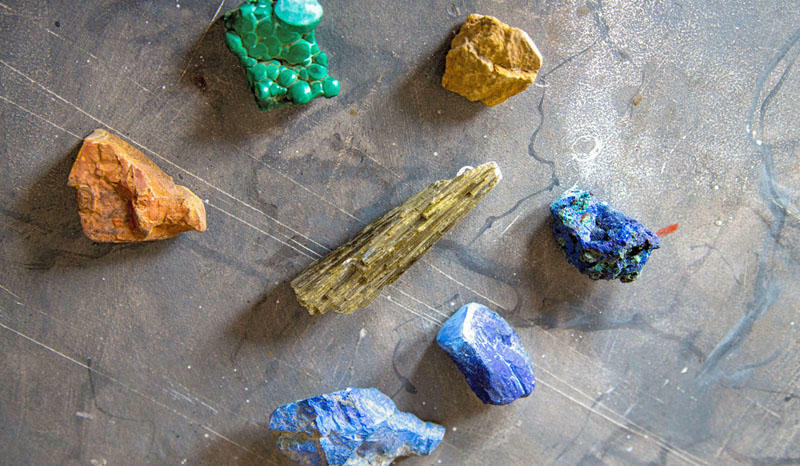 He pulls out rocks and gem stones like malachite, lapis lazuli and azurite from the plastic bags and starts grinding them up on what looks like sandpaper. Kramer dips the brush in water, and stirs it into the fine dust that has gathered after the grinding. He sets the brush to paper and starts painting with a beautiful, pale blue color. Making paint is just one of the things that Kramer finds so meditative about icons. He also likes the symbolism behind the elements used to make the paintings; rocks from the mineral world to make pigment, wood from the plant world to paint on, and eggs from the animal world to make the egg tempera paint. Painting has always been a passion for Kramer. It started when he was an art-loving kid growing up in San Francisco. He went to art school for college, intending to pursue it as a career until one day he had a conversation with a classmate. Grinding rocks is Sean Kramer's preferred method for making the bright colors that he uses to paint. He felt he needed to learn more about the world. Kramer left art school and started a Great Books Program. There, he read the important works of Western thought – Aristotle, Plato, Newton, Einstein – from cover to cover. 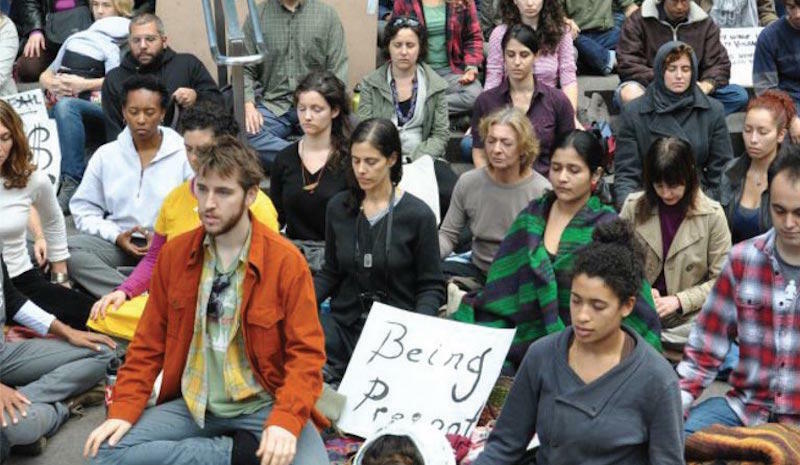 The school also offered spiritual retreats, and Kramer developed a meditation practice. The spiritual life beckoned and he spent the next ten years of his life as a monk. He lived in monasteries in Massachusetts and South Dakota, and abroad in Brazil, Canada and Portugal. While he was deepening his religious practice, he wasn’t making art and he missed it. In addition, monastery life wasn’t completely satisfying to him. Kramer decided to live as a hermit instead. It was during that time that some people encouraged him to go to workshop by a visiting Russian master iconographer. Initially, Kramer wasn’t interested, but he went anyway and much to his surprise it resonated. 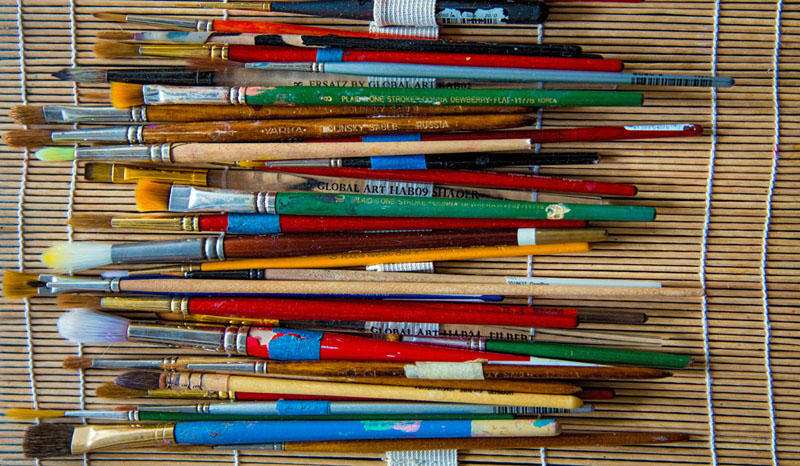 He had found that something he had been looking for since art school — an art form that also was a spiritual practice. The desire to learn more about icons was so strong that he left his solitude in Colorado. He went to the East Coast to take more classes. Kramer studied with several different iconographers, all of them Russian. It was no coincidence that so many artists ended up in the U.S. where Kramer could learn from them. During the Soviet era that lasted for most of the 20th century, it was difficult to openly practice the craft. Many churches, and the icons in them, were confiscated, sold, or destroyed during that time. Paintings were smuggled out of the country for safekeeping and ended up in private collections and museums all over the world, like the Museum of Russian Icons in Clinton, Massachusetts. The policies of the Soviet Union threatened the continued tradition of icon artistry, making museums like this important guardians of the culture. 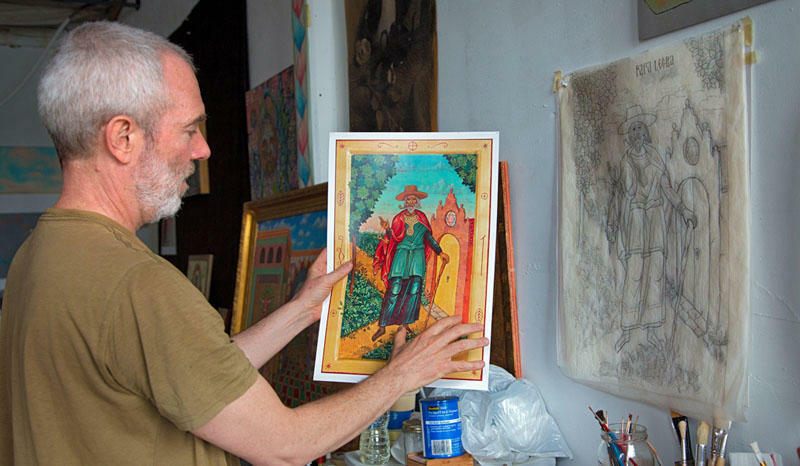 Through the Russian teachers who came here, it made its way to artists like Sean Kramer. Because of people like him, it has now left the confines of museums, and spread to some churches that aren’t even Russian Orthodox. For example: All Saints Anglican Church in Concord, New Hampshire. The church lies tucked into a strip mall in what used to be a karate studio — but that’s hard to imagine now. It’s full of old wooden pews, candles and religious art, including several of Kramer's icons. Traditionally icons tell stories from the Bible, but Kramer has been experimenting by mixing in symbols from other religions. All Saint’s rector and priest Father Christian Tutor wanted a worship space where everything harmonized visually: the altar, the windows, and the images. Tutor came across Kramer’s art at a fair in New Hampshire. For him it was a perfect fit, and he commissioned two icons. One takes the shape of the altar cross. It shows a crucified Christ dressed in a priest’s robe; at the bottom is a phoenix rising from the ashes. This is part of Kramer’s experimentation with icons, bringing in symbols from other cultures. Tutor uses the icons to teach little kids stories from the Bible. They also serve a purpose for the adults. There’s a painting leaning against the wall of Sean Kramer’s studio in New Hampshire. It looks like a traditional icon at first glance. There’s a woman with a halo at the center of it, the face is long and the eyes big in the typical style of icons, but there's something different. At the center of the woman is a Hindu yantra, and above her two hands are two Tibetan symbols called the vajra and the ghanta –symbols from cultures outside the Russian Orthodox Church. Kramer’s deep knowledge of religions and quest for understanding is on display here. The yantra is a tool for meditation, and the vajra and ghanta point to the creation of the universe and what was before. This icon is another example of how he is using the traditional technique to create new, evocative images. The image of the Buddha is a model for Kramer. What people can become, according to Buddhism, are more awake to this world. The practice of painting is helping Kramer achieve a state of wonder and openness. That’s what he wants to inspire in other people through his art. “A big part of doing that is giving us images that will help us kind of awaken us to the universe, or to our next steps, or what we were really meant to be or become,” says Kramer. “That maybe will take us a lot of time, or maybe we’ll never be able to totally articulate in words what is contained in those images, but they act upon us and heal us, help us grow. It’s now almost a decade since an icon workshop changed Sean Kramer’s life. It’s given him a way to connect his spiritual search with his love for painting. He uses the art form to help him — and us — meditate on life’s biggest questions; where we come from and where we’re going. 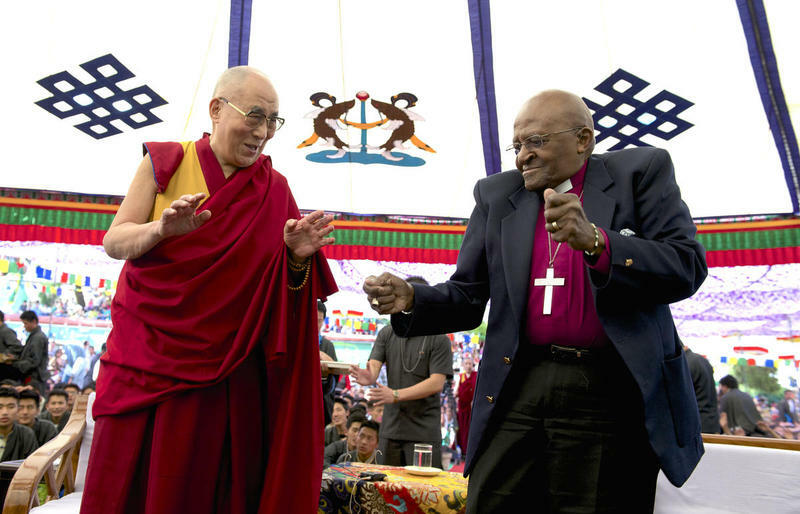 The Dalai Lama and Archbishop Desmond Tutu are both in their 80s. During a week in 2015, the two spiritual leaders came together in Dharamsala, India to reflect. They discussed joy in the face of hardship, a topic both men know well. We've been asking our listeners through a survey: What role do religion and spirituality play in your life? Heather Hernandez responded. 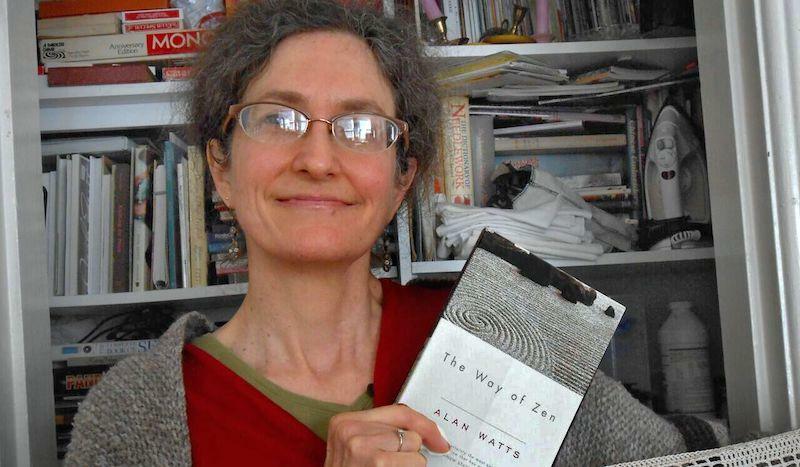 She's a Berkeley librarian who calls herself a Zen Atheist. One big trend in the US over the last few decades is that the country is becoming less religious. Far more people are categorizing themselves as Nones — people who say they don’t have a religious identity.